So, it’s been a while since I last posted. It’s been a busy Fall so far, and I have been working with lots of great teachers across Quebec. One of the most popular activities I’ve participated in lately was an Edcamp, a new concept in PD that I wanted to share with you. An Edcamp is a completely different approach to professional development (PD). In most traditional PD models, the sessions are given by a leader who sets the topic and leads the workshop. However, in the Edcamp model the PD is 100% participant driven. It’s up to the educators to discuss which topics are most important to them and to decide on any themes to address. There isn’t a preset agenda for the day, and there aren’t any pre-set presentations/workshops. What else is different about an Edcamp? The only (and one big rule) of an Edcamp is the “rule of two feet” which means participants are actively encouraged to leave a session if it doesn’t meet their expectations. This allows participants to join another session or to even network with other educators in the hallway if they don’t find a session engaging or relevant. The participants are in full control of what they participate in and what they skip. The organizers are “hands-off” and they put their trust in the participants to come up with the solutions they need most. Does this model actually work? When I first heard about Edcamp, it sounded like it lacked structure and focus. I wasn’t sure how people would learn anything with content that was all over the map. Where were the experts to present and organize the content? Would it simply end up being an opportunity for people to vent frustrations? In order to better understand this model, I decided to attend an Edcamp myself. The next Edcamp on the calendar was scheduled for just a few weeks later in northern Vermont, just a short drive from Montreal. So I packed up the car and headed south to challenge all my preconceived notions about PD. Wow, what a surprise. Needless to say, my entire view of “what makes good PD” genuinely shifted after what I experienced that day at Edcamp Centerpoint in Vermont. 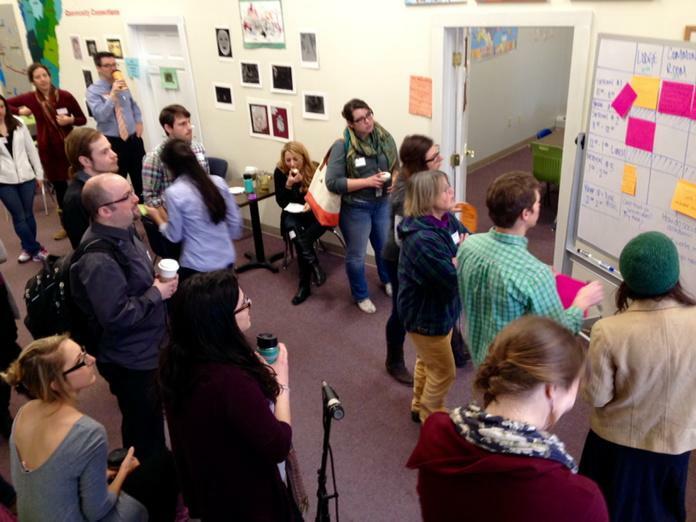 The day started with us all gathering in front of an empty wall with a stack of sticky notes. Everyone jotted down the topics that they wanted to discuss on the sticky notes. Then we worked together to come up with the final list of sessions for the day. I wasn’t sure what to expect, but after attending the sessions it made sense why things worked out so well. Pretty much everyone stepped up and took ownership of their own PD. All the attendees were stakeholders in the sessions, choosing what was important for them and skipping sessions that weren’t relevant. I ended up taking away something important from every session, whether it was reaffirming something I knew, or hearing a new viewpoint on a topic with which I was already familiar. Everyone participated in the discussions, bringing ideas and suggestions to the group. Is this the be-all and end-all of PD? No, but I think this model of participant-driven approach is definitely a step in the right direction. When I headed home, I really wanted to bring this model to the teachers I work with here in Quebec general adult education! This school year, the New Frontiers School Board (NFSB) approached our team to help coordinate their adult education PD plans for the school year. 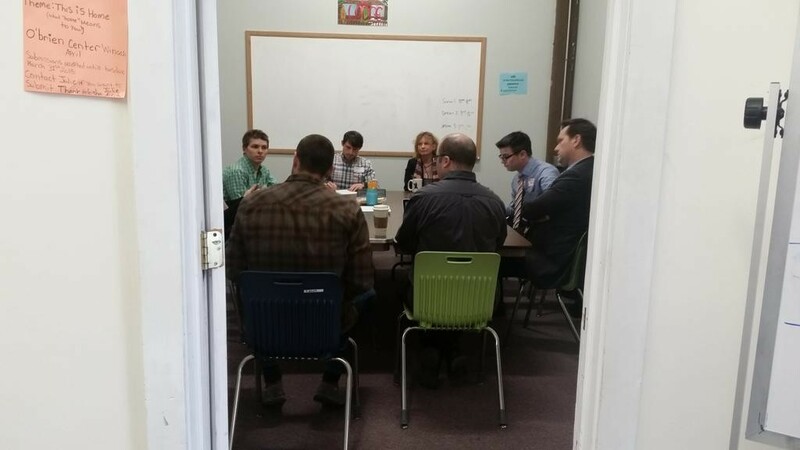 They wanted to try a more meaningful approach to PD and were looking for ways to be creative in their models, so they opted for an Edcamp, which we ended up calling #NFSBMeCamp. The general theme of the NFSB Edcamp was “Connecting with diverse learners, whatever your role..” but it was up to the participants to decide which specific topics or issues they wanted to discuss. We had over 100+ participants from NFSB, including adult education and vocational teachers, along with support staff. This was all made possible by a group effort of RECIT FG/FP consultants, local and external consultants, centre directors, and school board directors and coordinators all working closely together. My colleague Tracy Rosen has done a full recount of the the day at #NFSBMeCamp which you may find interesting to read on her blog, PD Practice. How can you participate in an EdCamp? If you would like to participate in an Edcamp, there are a few ways you can do so. All of the official Edcamp events are listed on the Edcamp website, many of which are located across the US and Canada. It’s a great list to bookmark in case you are traveling and want to join a session. Most are free to attend. This entry was posted in Aha Moments! 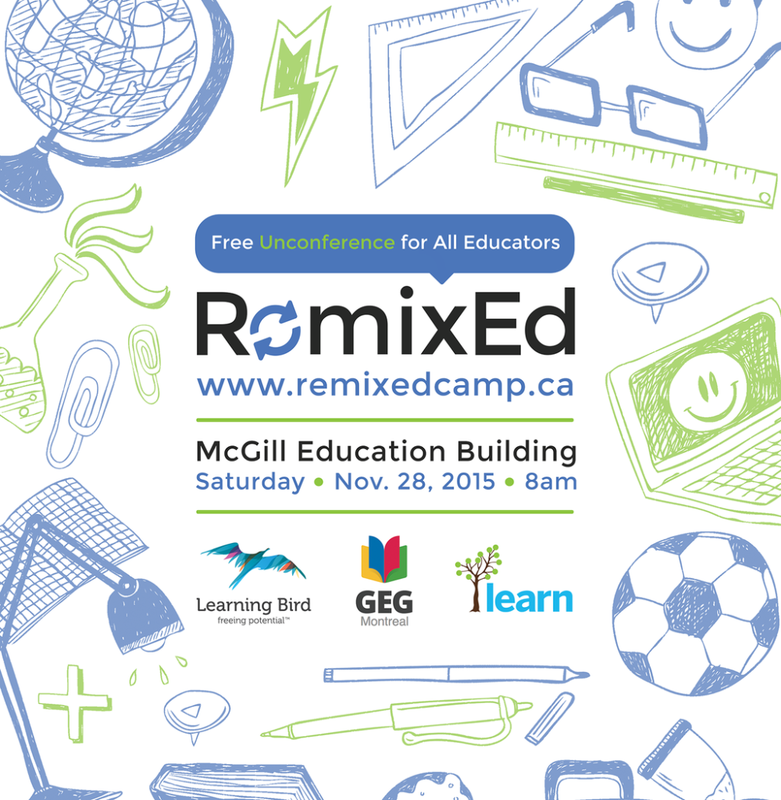 and tagged centerpoint, edcamp, edcamps, nfsb, nfsbmecamp, pd, remixed ed, remixedmtl. Bookmark the permalink.